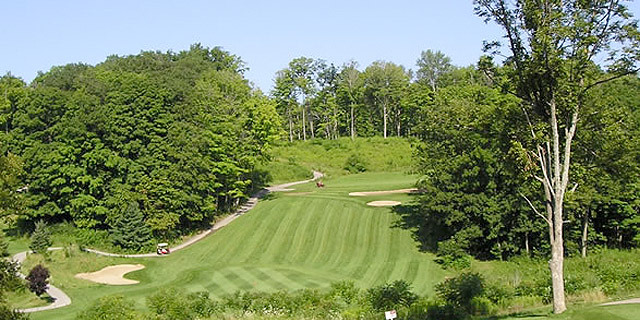 Heather Glen is a public nine hole golf course sculpted out of the beautiful Oak Ridges Moraine in Durham Region. The rolling hills offer the golfer the unique combination of a variety of elevations and spectacular views. The course design is a challenging, yet satisfying 2,952 yard, par 35 course with immaculately manicured bentgrass fairways and water on 4 holes. The environmentally-concerned will appreciate how the 76 acre course is woven through this breathtaking natural setting of mixed forest fringes the pristine undulating meadows.